This is an industrial category machine that is used in the recycling field for the industrial applications of shredding a wide range of materials and products for recycling. We call these machines by many names. The invention was brought to market in the 1970 era with very large and very small rotors. The large rotors were used for processing construction and demolition materials and the smaller machines were used for processing plastic materials and other items such as paper and cardboard and wood. We call them shredders or industrial shredders of a single shaft variety design. This is one category that we use for this type of design as it simplifies the process of calling them by other names. This is another name category that we use for this type of design as it simplifies the process of category recognition in the industrial shredder or industrial grinder field. This is the most popular of our name brands for our single shaft industrial grinder or single shaft industrial grinder. This is our generic shredder name for the single shaft grinder or single shaft shredder. Some groups wish to use industrial rotary grinder as the descriptive name for the product. This is another derivation of the single shaft industrial grinder name using the shredder designation rather than the grinder designation. Rotary Shredder or Rotary Grinder is another way to describe the single shaft industrial grinder or single shaft industrial shredder. This is one more in the names used to describe the single shaft industrial shredder or single shaft rotary grinder. European name recognition for this type of description of the single shaft grinder or single shaft shredder as a uni shredder or uni grinder or one shaft grinder or shredder. 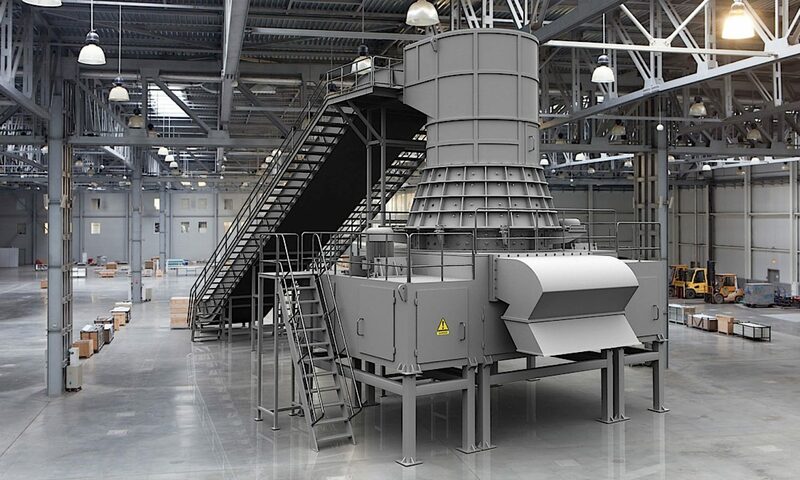 This is another derivation of the single shaft shredder in the industrial field of Europe. No matter what the engineering name attached to the design it is very common to the recycling equipment industry and the use of this machine with single and even dual shaft design is common today. Single Shaft Grinder and Double Shaft Grinder are common to our branding of the Eidal industrial Shredders and the Global Recycling Equipment Group. Dan Burda is a pioneer in this design and has taken the steps of making this a very versatile machine that has been common to the industry using one or two basic design forms. We have over 1,000 design forms of this machine in use today for our industrial grinder and industrial shredder lines. We have thousands of different industrial shredders and industrial grinders in our product mix and we make and design new designs every year. We offer rotor diameters from 4 inches to 200 inches in diameter. We offer rotor lengths from 4 inches to 20 feet or more in length for industrial applications. We offer different cutting heads with different designs to handle a wide range of materials from paper to scrap metal. We offer different cutting segments or knives on our rotors to handle almost everything encountered in the recycling field that needs to be shredded or ground up into smaller particle sizes. This is another design of the main rotor of the single shaft grinder when the rotor needs to be notched for a hawk bill type of blade. This is another design of the rotor using plates that stack together to form an entire rotor assembly. This is a design of air cooling of the rotor with internal fins of the rotor like a self cleaning head or tail pulley assembly where there are corridors for air to be used to cool the rotor assembly during shredding.